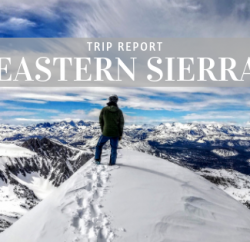 Join your fellow ladies in the Truckee-Tahoe area for a fun night at your local outdoor gear headquarters and get excited for summer along with the rest of us! Lake Tahoe, CA native and Senior Backcountry guide, Laura Steinbach will lead a motivational presentation and slideshow on the basics and intricacies of backpacking, planning a backpacking trip and providing some tips and tricks for success based on her years of experience in the field. 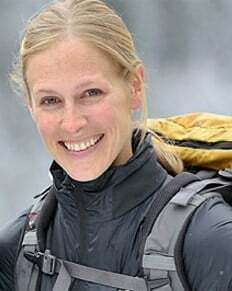 She’ll be focusing on educating entry-level female backpackers, with some topics including logistical and permit planning, Leave No Trace (choosing camps, water sources, etc), Choosing the right gear (focusing on backpacks), and packing a backpack for different situations/gear combinations. 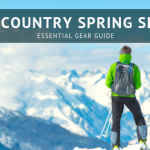 When: Wednesday, April 29th | Doors-Shopping Specials: 5:00 p.m. | Official Program: 6:00-7:30 p.m.
Attendees of this FREE (all ages) event will enjoy store-wide savings and special deals on women’s specific apparel, footwear and gear. Utilize this great evening as the perfect opportunity to do some spring shopping, or to simply spoil yourself! 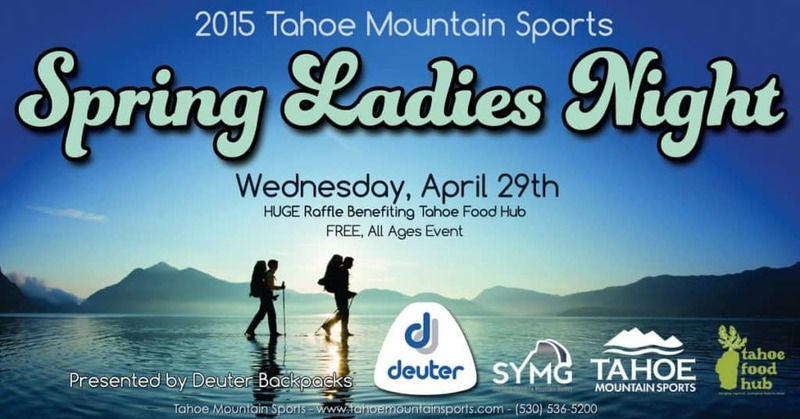 A portion of proceeds from Ladies Night will benefit the Tahoe Food Hub, a local non-profit organization that is working to restore local food distribution by building a regional food system for North Lake Tahoe. They serve as a foodshed council educating our community on the environmental, economic and social health benefits of regional food system. In addition to great deals on gear and clothing for women, there are great prizes to be won in the raffle (benefiting the Tahoe Food Hub), including gear from Deuter Backpacks and lots more! 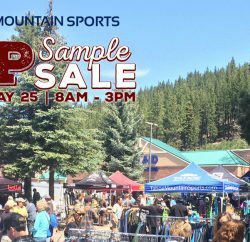 With summer just around the corner, Tahoe Mountain Sports has everything you need to enjoy the outdoors. 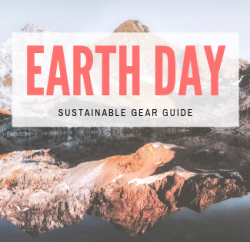 If you’re into hiking, backpacking, yoga, Crossfit, rock climbing, trail running or triathlons we’ve got the gear to get you out there! Enjoy special shopping deals in an intimate and customized setting that will leave you inspired to take your skills to the next level.